Ask for Luigi was recommended to me by every man and his mother so naturally I needed to check it out. 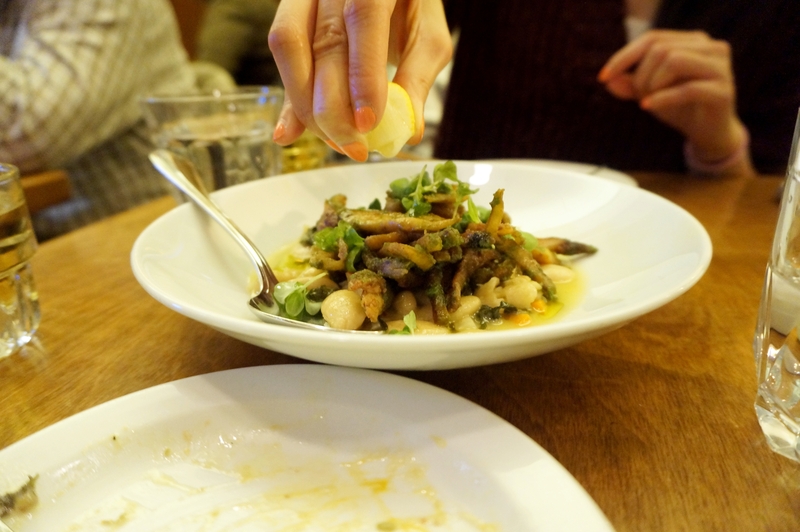 I went with a friend of mine and we got fairly carried away ordering 5 dishes to tide us over; we ordered the sea urchin; the beef tongue, the octopus; their fregola risotto and the special of the night, a chicory and boar sausage, shell pasta. 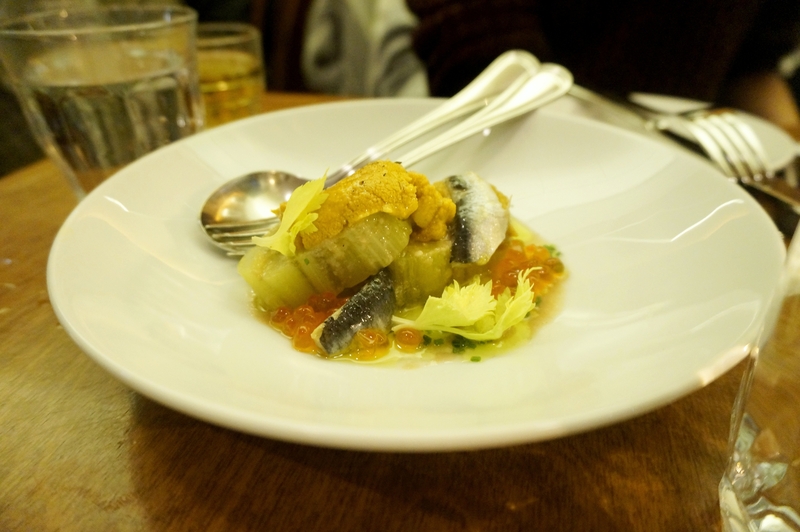 The urchin was good, the added anchovy was very complementary to the flavours but there was too much celery vs the fruits de mar, the bigger pieces were overpowering and not soft enough to meld with the rest of the textures. Next out the tongue; it was an amazing dish. 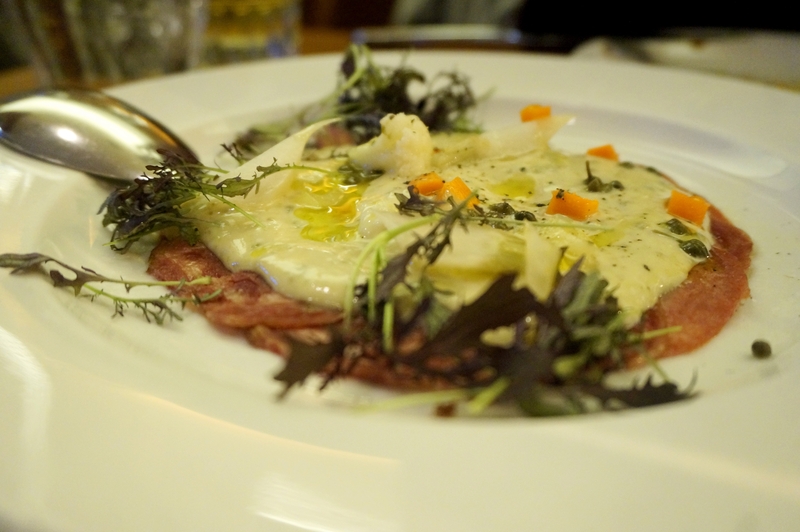 A corned beef texture with a flavour that was in between a corned and smoked flavour all paired with fantastic pickled vegetables that lent a tangy crunch. The dish was perfectly crafted and balanced and one that I would order over again in a heartbeat. The next dish out was the octopus, the best dish of the night by far; not to say the rest weren’t great, but this was out of this world. Crispy, flavoured so boldly and cooked to pinpoint perfection the dish was a cracker; unfortunately for anyone reading this it’s no longer on the menu! I will say though definitely get a side of bread to mop up every last drop of the sauce. 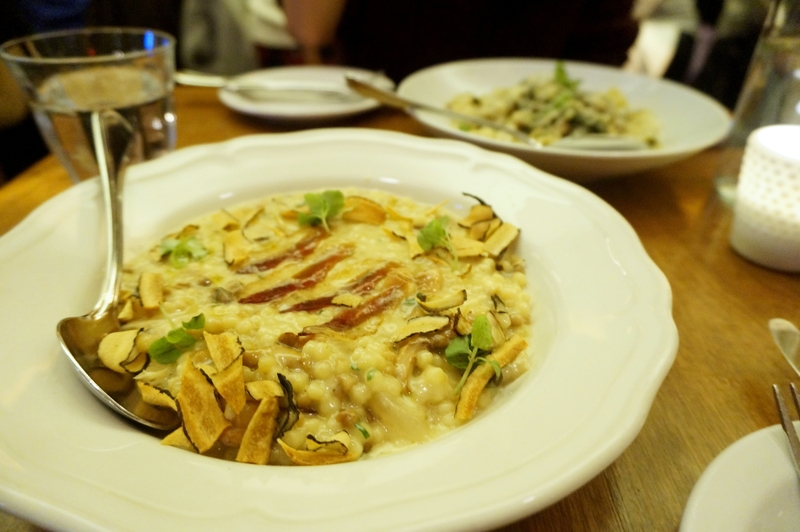 Now the risotto was not your usual stuff, swapping out the rice for fregola and using a duck prosciutto it really changed the idea of what you were eating. Risotto was not using rice, using fregola, had a different texture and really changed the mindset of what you were eating. The flavours of the cheese, mushrooms and prosciutto went well to create a rich creamy flavour that stood out and resonated. The special did not have as much boldness and was very refined. The chicory and boar were great but needed a linking ingredient to bring everything together. White the Lemon, chilli and fatty buttery sauce were great it just needed that final ingredient, something to really give it the oomph it needed. 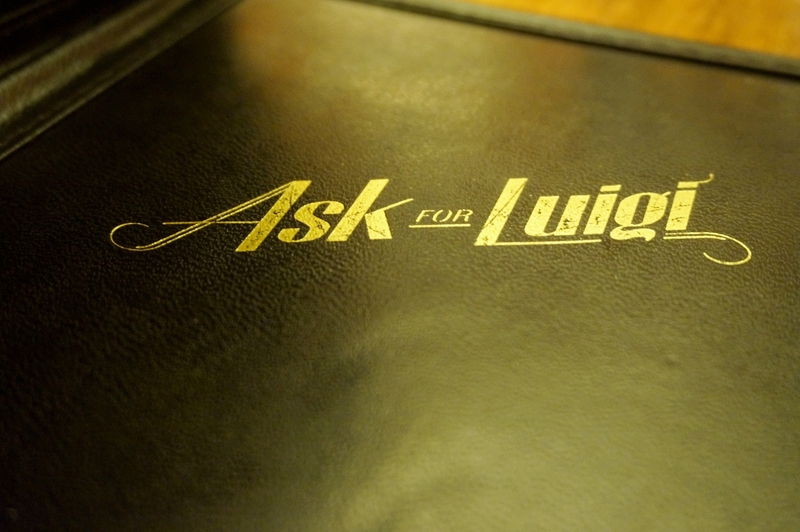 Ask for Luigi is definitely a great place and worth checking out. 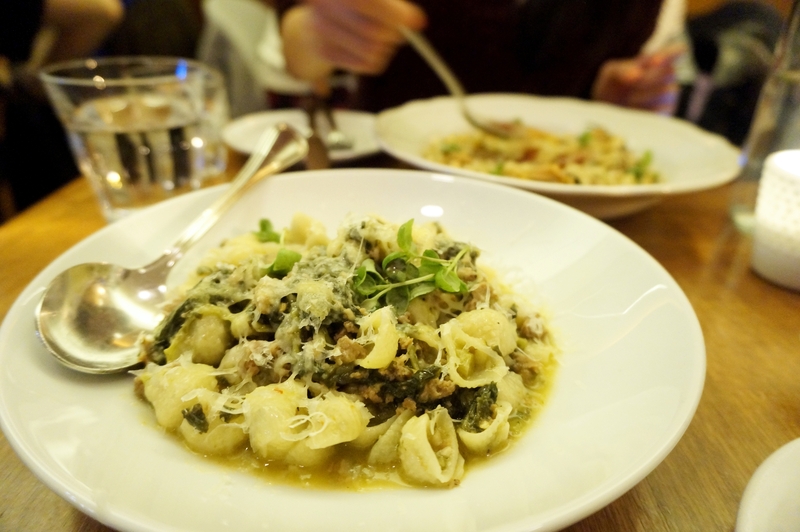 They are putting out great dishes in a cosy environment with stellar service to boot. Posted on May 21, 2016 by AdrielPosted in Canada, SteakLESS, VancouverTagged Italian, Pasta, vancouver.